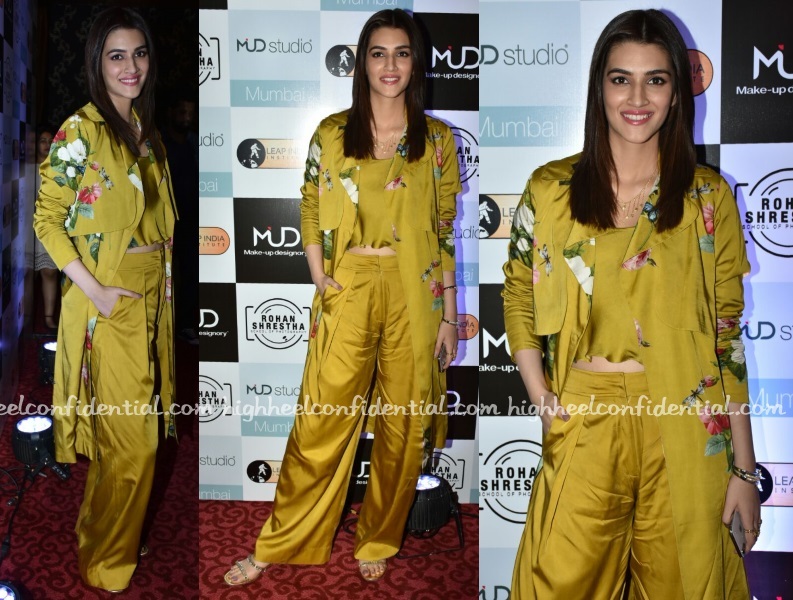 At the opening of a makeup and photography institute, Kriti kept it easy breezy in separates from Mahima Mahajan paired with studded flats. She looked nice. Wearing a Mahima Mahajan lehenga, Raashi promoted her upcoming movie on the sets of a television show. With her hair in a princess-y, braided and wavy half-up do, she rounded out the look with elaborate eye make-up and a sole cocktail ring. P.S: See Jacqueline wear a version of this lehenga here. For her appearance on the sets of a reality show, Jacqueline picked a Mahima Mahajan lehenga to wear. Classic ankle-strap sandals aside, pair of earrings from Misho paired perfectly with the floral-print. She made that look work for her; Jacqueline looked nice.